Forest Garden Wood Effect Large Garden Storage Box 550L: The Forest Garden practical and large storage box comes in this unique wood effect design which can be used as a storage box and doubles as a bench which is big enough to seat two adults. The Large Storage Box is finished in a wood-grain effect and comes in a versatile design perfect for sitting on a patio, in the garden or in a conservatory. 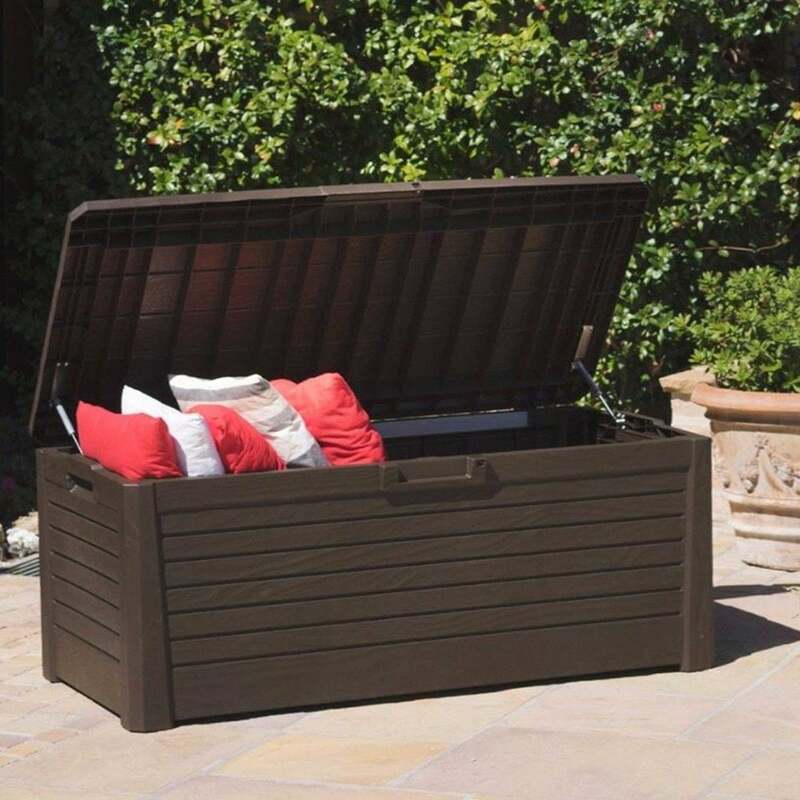 The Forest Garden Box is made from recyclable polypropylene for a weatherproof design and features gas struts on the lid to provide assisted opening and keeps the lid open as required. The Wood Effect Box features a 550 litre capacity which enables plenty of space for storing garden tools, toys or garden cushions.